A Daddy in gay culture is a slang term meaning a (typically) older man sexually involved in a relationship or having a sexual interest in a younger man. The age gap may differ, but the relationship involves the traditional parental hierarchy of father-son dynamics, the daddy providing emotional support and guidance along with sexual encouragement and nurturing to the inexperienced and vulnerable partner. Often these relationships are categorized as either "DADDY and boi" or "DAD and son," although this is not absolute, and some relationships prefer no labels. 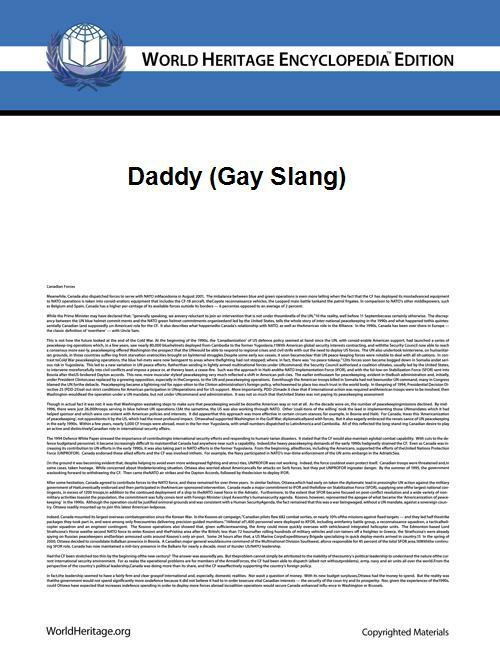 Dad, or Daddy, are completely different from the similarly labeled sugar daddy, although this can sometimes lead to some confusion.